Do you have backyard BBQ’s on your calendar for this summer? I plan to host a few and I’m sure we’ll end up attending a few more too. BBQ’s are one of my favorites about summer time. The company, the weather, the food… it’s perfection. Some times, though, I just don’t want to spend a whole lot of time on putting the menu together. I want to be able to enjoy the company and not spend my time running around the kitchen. That’s when I reach into the baking methods my momma taught me. 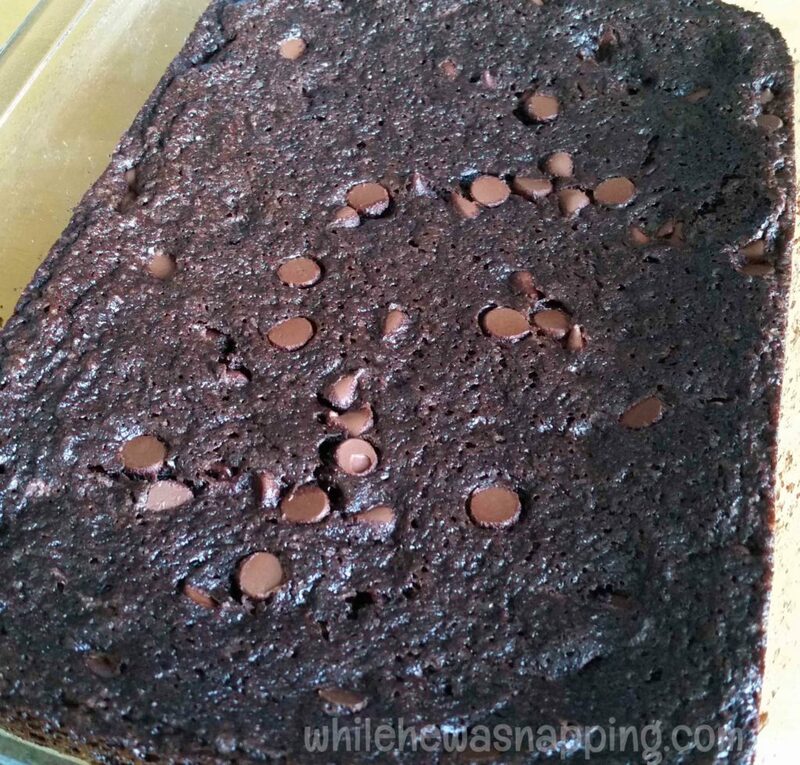 I put out my favorite package of brownie mix or cake mix and whip up a tasty treat. That’s right, packaged mixes. I love the simplicity that baking with a mix offers. Recently, I was introduced to Better World Brownies, an organic brownie mix, through Globe In, a monthly subscription box of artisan-made products from around the world. I’ll give you a tour of my whole Globe In box next week. That said, this post is in no way sponsored and, as always, all content is mine – honest and original. 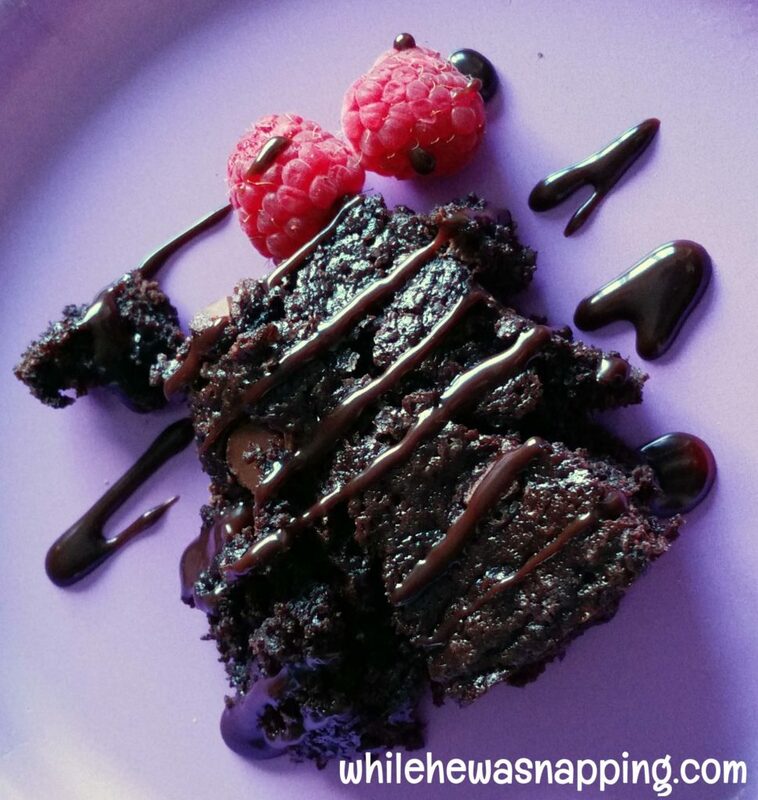 I made some Raspberry Chocolate Chip Brownies with the Better World Brownies. They turned out delish! A decadent chocolate dessert made from your favorite brownie mix. Simple and delicious! 1 package of your favorite brownie mix. You can find the Better World Brownies here, if you're interested in trying them. But any brownie mix will work just fine. Mis the brownies according to the directions on the back of the package, with one exception. Substitute half the oil with applesauce. Use the eggs and the other half of the oil the package calls for. If you want an extra rich brownie, stir 1 cup of chocolate chips into the batter and mix well. Pour batter into a baking pan. Scatter chocolate chips on top of the brownies. and bake according to the package directions. Let the brownies cool and cut into pieces. Place each brownie on a plate and top with whipped cream, if desired. Drizzle chocolate sauce over the brownie, if desired. Summer is the perfect time for garnishing your favorite chocolate desserts with fresh fruit. And, by substituting half the oil for applesauce, you’re cutting some of the fat in the recipe, but it also helps keep the brownies nice and soft. If you sub out more than half the oil, the texture changes and you get a really dense brownie. If that’s okay with you, go for it. 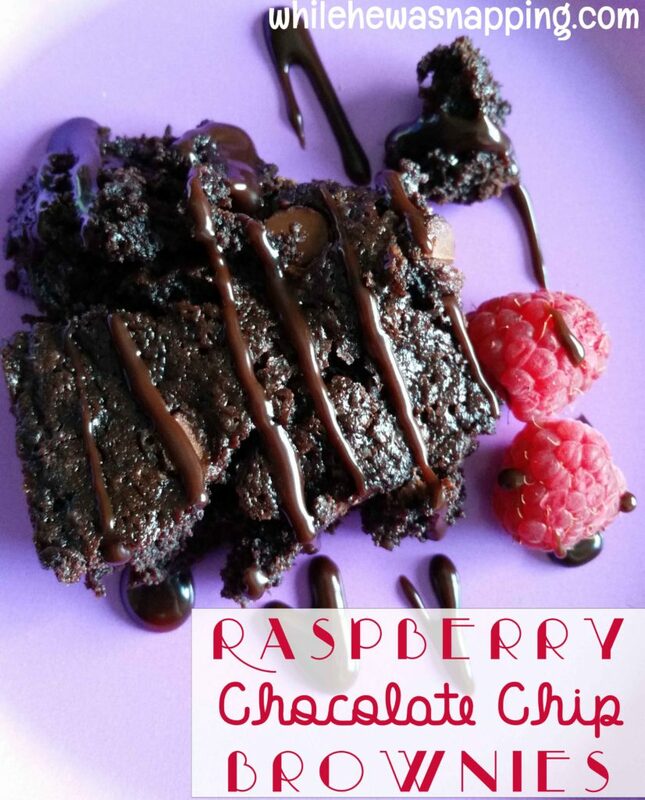 These Raspberry Chocolate Chip Brownies are perfect for your next get together. Super easy to make and they taste fabulous!